Gophers can be the bane of your existence when you're gardening in a gopher-infested area. If you're like me and you don't want to put poison out in your soil, there are some alternative ways to control gophers and protect your plants. If you know that you have gophers, the best thing you can do is use a gopher basket or other type of protective wire around the roots of your plants when planting. The gopher baskets are easier to use than chicken wire, I've found. Also, gopher baskets are made of galvanized steel, so they won't rust and disintegrate in the ground the way regular chicken wire would. 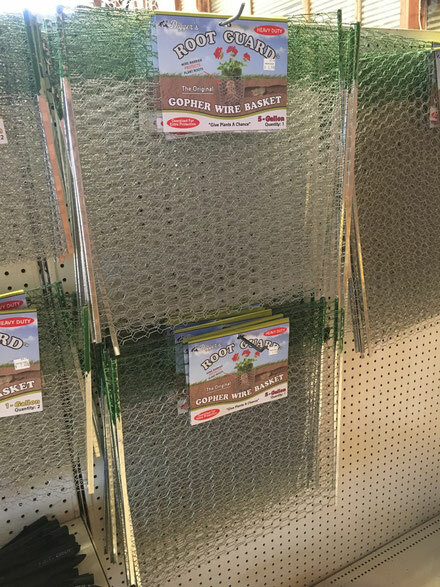 If you choose to use chicken wire, be sure to get the kind with 3/4" (or smaller) holes. Also, be sure to leave a few inches sticking up above the ground, because gophers will come to the surface and feed on plants as well. Gopher baskets or wire are a lot better to use than planting in a pot in the ground, because they will allow for more drainage and allow the plant's roots to expand. These are a sonic stake you put in the ground that makes a beeping noise that will eventually annoy gophers and drive them away. I have found that these do help keep gophers out of an area. Get enough stakes to cover your whole yard, otherwise they will move to other areas and cause more damage. Trapping the gophers really does work, you just have to be on top of it. You've got to check for new mounds every day during the active gopher seasons (spring and fall in non-irrigated areas). In lawns or flower beds, gophers can be active year-round. The traps must be set when the tunnels are fresh, and always be sure to wear gloves so the gophers won't smell you on the trap. I recommend the Black Box. 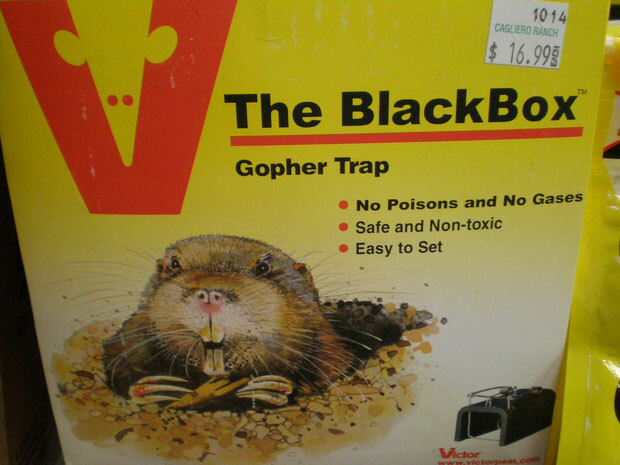 It's a fairly simple, easy to use gopher trap. There are a couple of things I've heard you can put down the tunnel that gophers will choke on. Juicy Fruit gum is the one I've heard from a lot of people, but I haven't personally tried it. Hey, it might be worth a shot. Also, if you happen to have a liquidambar tree nearby, the spiky seed pods are supposed to choke gophers if you put them down the tunnel. 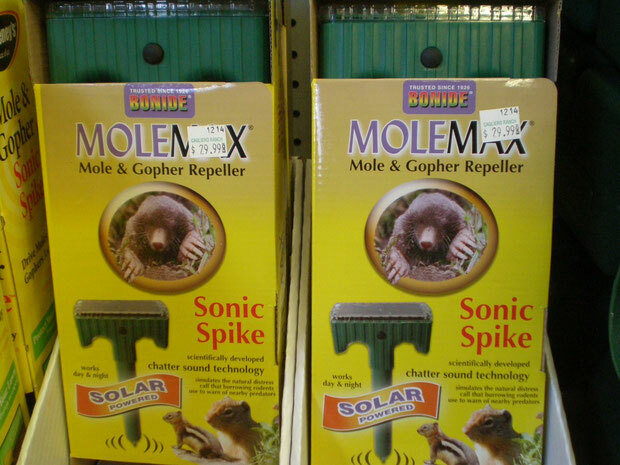 There's a plant we sell here called gopher purge, which can also help keep gophers out of an area. It has a very bitter root with poisonous sap, which will often drive gophers away. It's best to make a border with this plant, for example, around a vegetable bed. Another tip I've heard is once you've trapped a gopher, bury the gopher body in the main burrow. This will ensure that no other gophers use that burrow.